In partnership with the Pacific Canada Heritage Centre's Museum of Migration (PCHC), ACWW is screening a selection of dynamic episodes of the ground-breaking Chinese Restaurant series by award-winning filmmaking duo: producer/director Cheuk Kwan and cinematographer Kwoi Gin. The screenings will take place on two separate days, and Q&A panels with the filmmakers with follow the presentations. Registration is required on Eventbrite for admittance, or through the Taiwanese Canadian Cultural Centre at (604) 267-0901. To register, please see here for Hakka Connection episodes, and/or here for the Chinese Diaspora episodes. Presented by the PCHC-MoM Society in partnership with ACWW, hosted by the Taiwanese Canadian Cultural Society. Please direct all inquiries to <pchcmom.intern@gmail.com>. The Taiwanese Hakka Association introduces two dynamic episodes of a ground-breaking Chinese Restaurant series, Mauritius and Calcutta, by the award-winning filmmaking duo, producer/director Cheuk Kwan and cinematographer Kwoi Gin. Samson, Richard, Samuel, and Stephen Yeh were born in Calcutta and suffered from the aftermath of the 1962 Sino-Indian border conflict. Today, the four brothers take turns running the New Embassy Restaurant in Calcutta and Hotel Restaurant Valentino in the Himalayan hill-station of Darjeeling. As they reminisce what it was like to grow up Hakka Chinese in India, the next generation’s emigration to the West has decimated the once vibrant and prosperous community. Taiwanese Rotary Club introduces two dynamic episodes of ground-breaking Chinese Restaurant film series, Istanbul and Argentina by the award-winning filmmaking duo, producer/director Cheuk Kwan and cinematographer Kwoi Gin. Istanbul’s China Restaurant is the oldest Chinese restaurant in Turkey. Its founder, Wang Zhengshan, fled China with his family in a dramatic trek over the Himalayas in 1949 when Chinese Communists took power, thereby earning a place in the urban legend as the man who “walked from China”. Wang died in 1961, leaving his widow Fatima and eight children struggling to survive. Now as Fatima contemplates retiring, the restaurant faces an uncertain future. 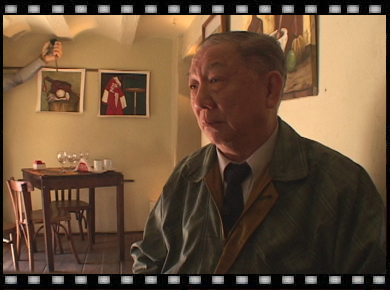 77-year old Foo-Ching Chiang came to Buenos Aires in the 1960’s and became the “Spring Roll King” of Argentina. His Casa China is a restaurant and cultural centre bridging Argentinean and Chinese cultures. Chiang’s fervent ideal of internationalism is tempered by his own solitude. While his family lives elsewhere on the planet, he lives his remaining years amidst the melancholy music of the seductive tango. Cheuk Kwan was born in Hong Kong and grew up in Singapore, Hong Kong and Japan and immigrated to Canada in 1976. In 1978 the community activist founded The Asianadian, a magazine dedicated to the promotion of Asian Canadian arts, culture and politics and the following year, helped lead a nation-wide fight for equality for Chinese Canadians. In 1995 Kwan joined the Harmony Movement, a national, non-profit organization dedicated to fostering harmony and diversity in Canada through public education. 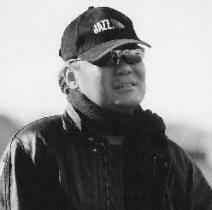 Kwan studied film at New York University in 1998 before establishing his own production company, Tissa Films. His ground-breaking Chinese Restaurant film series touches the heart of the Chinese diaspora in a way no one has done before or since. 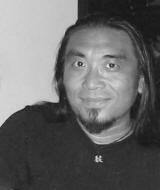 Kwoi Gin has worked as cinematographer for numerous films and documentary including These Shoes Weren’t Made for Walking (1995), When Strangers Re-Unite (1999), 5 x 90: The Wake (2005) Re:Orientations (2016). 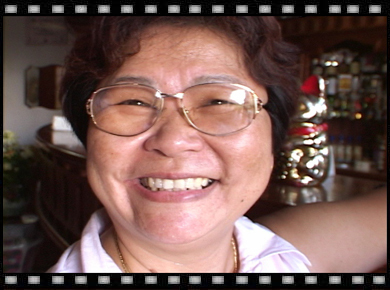 As director of photography for Chinese Restaurants (2000-2003), Kwoi traveled more than 200,000 kilometers with filmmaker Cheuk Kwan to thirteen countries to capture the definitive Chinese diaspora story.